Advances in 3D additive manufacturing techniques have enabled the production of nanostructures with remarkable mechanical properties. Using the latest 3D printing techniques, novel material structures with unique mechanical properties can be produced, such as micro- and nanolattices. Understanding the underlying characteristics of these complex new materials, such as deformation mechanisms, and how they impact structural behavior, is increasingly challenging. 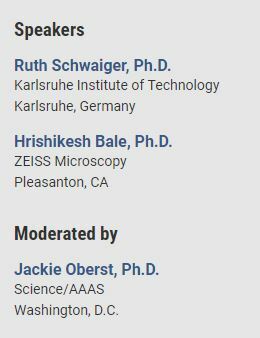 In this webinar, viewers will be presented with examples of how various microscopy techniques, including scanning electron microscopy (SEM), helium ion microscopy (HIM), and nanoscale X-ray imaging, have been applied to the study of nanoarchitectured lattice structures. They will also learn how these techniques have helped to solve some of the most intriguing questions related to nanomaterials.